Locally loved and world renowned hospitality. Once guests take a seat at the Crazy Horse the modern rustic space and good ‘ol, made with love cooking invites you to feel right at home. Savor award winning fare including fabulous prime rib and black angus steaks, sip on a wide collection of wines and craft cocktails, and enjoy a unique dining experience. The highly acclaimed Crazy Horse is a can’t miss local destination. 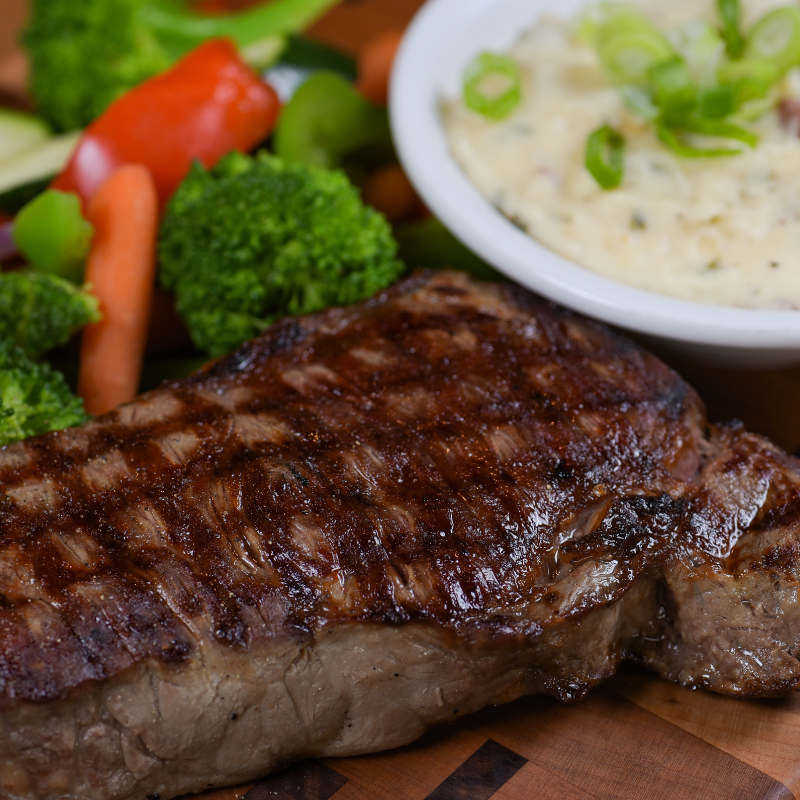 At Crazy Horse Steakhouse we invite you to relax in a casual, fun atmosphere while enjoying any of our mouth-watering entrees. 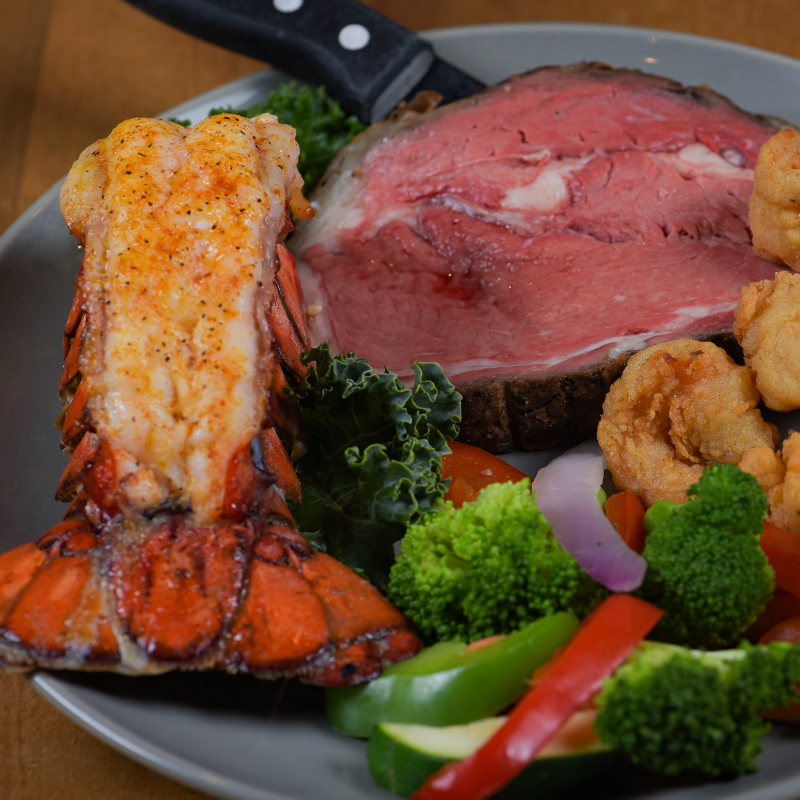 We love creating weekly lobster features and new sandwich creations so gather up your family and friends to stop by for lunch or dinner! 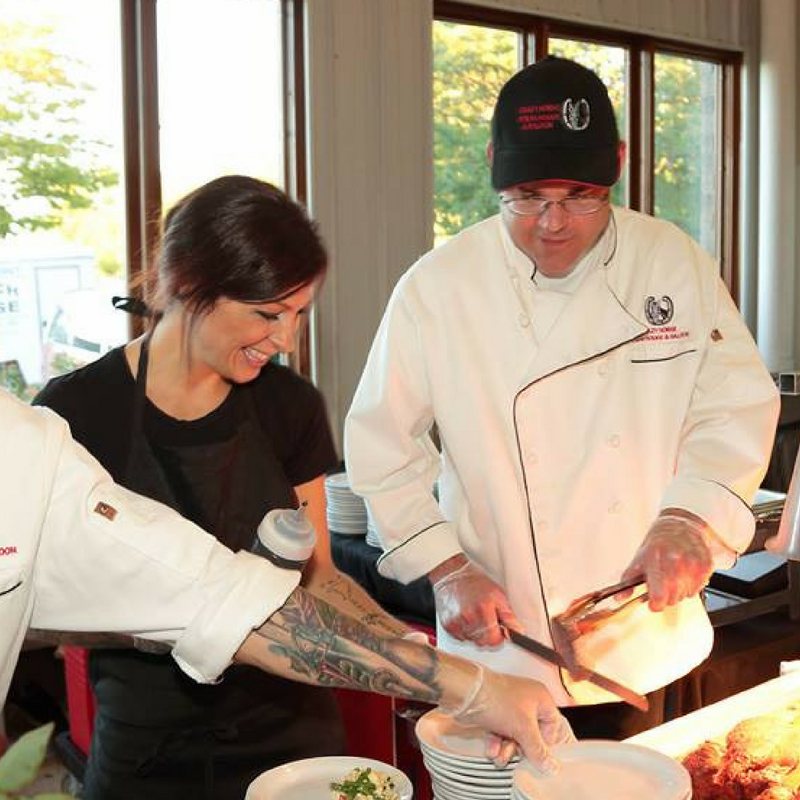 No matter the occasion, location or menu, we are happy to assist you in creating delicious flavors for your next event! 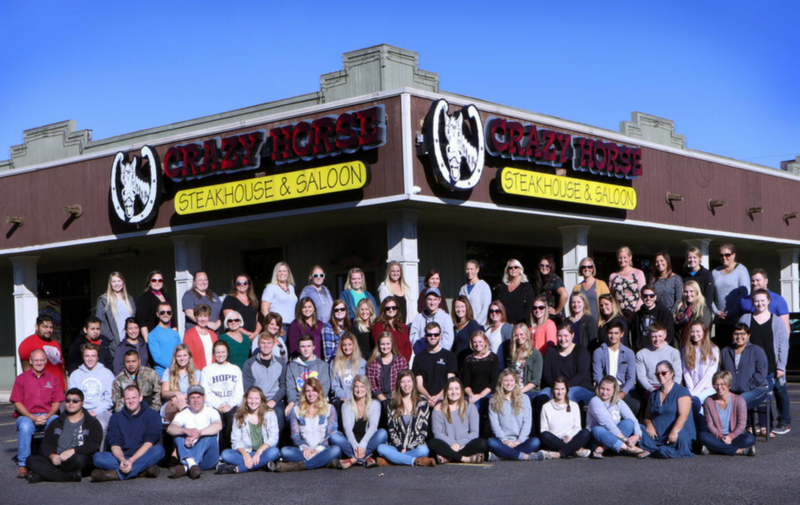 Crazy Horse is a locally owned company that prides itself in giving back to the community to which we belong. We genuinely love to serve you, and love having your help and support! having your help and support! like family. We want our guests to feel the same way. Family friendly, featuring many children's menu options, starting at $3.99. 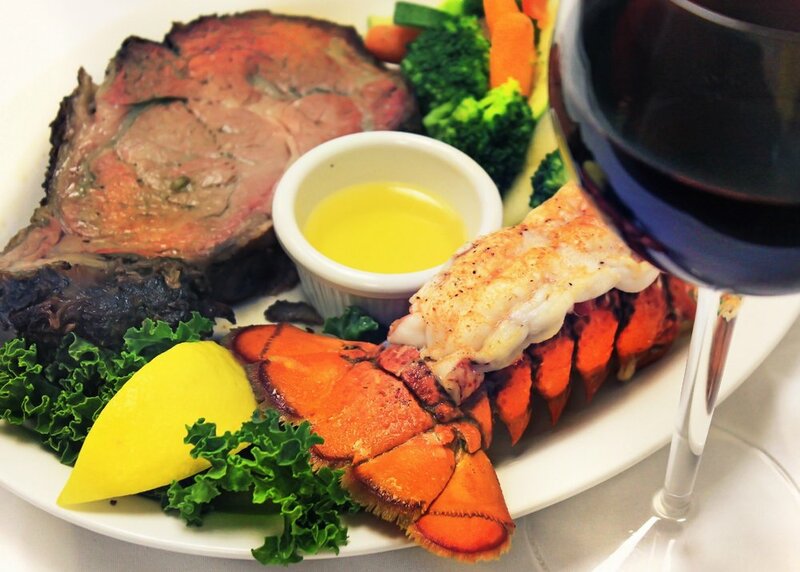 Great food, prepared by our very talented kitchen staff who take pride in their consistently excellent meals. Our cooks love to prepare meals using the best quality ingredients. Great service provided by a waitstaff that genuinely personifies hospitality with top notch service from the moment you walk in the door to the second you leave. 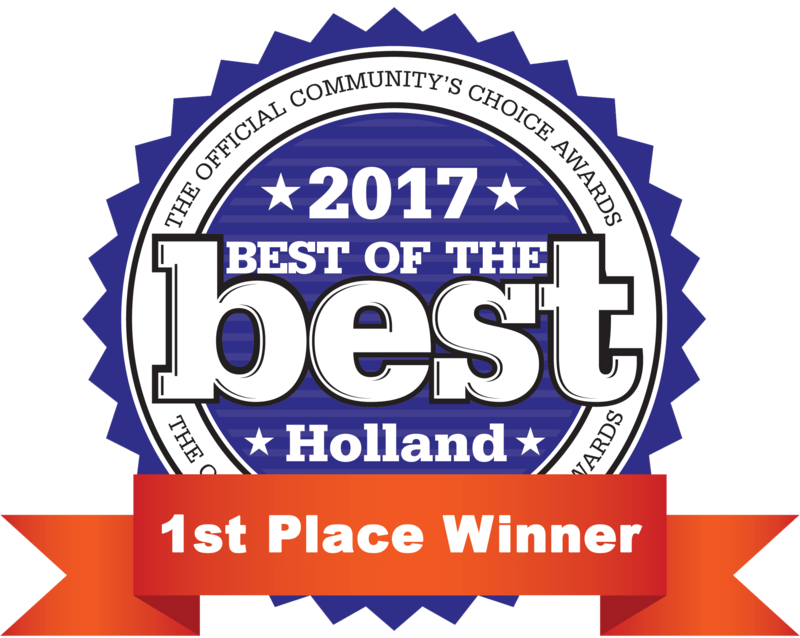 we have stayed committed to community, families, and great food since 1997. We are part of the community, your sisters, brothers, neighbors, and friends. We spend our pay checks and raise our families locally. We care about the economic and social health of West Michigan. You may be wondering how the dollar bills started. 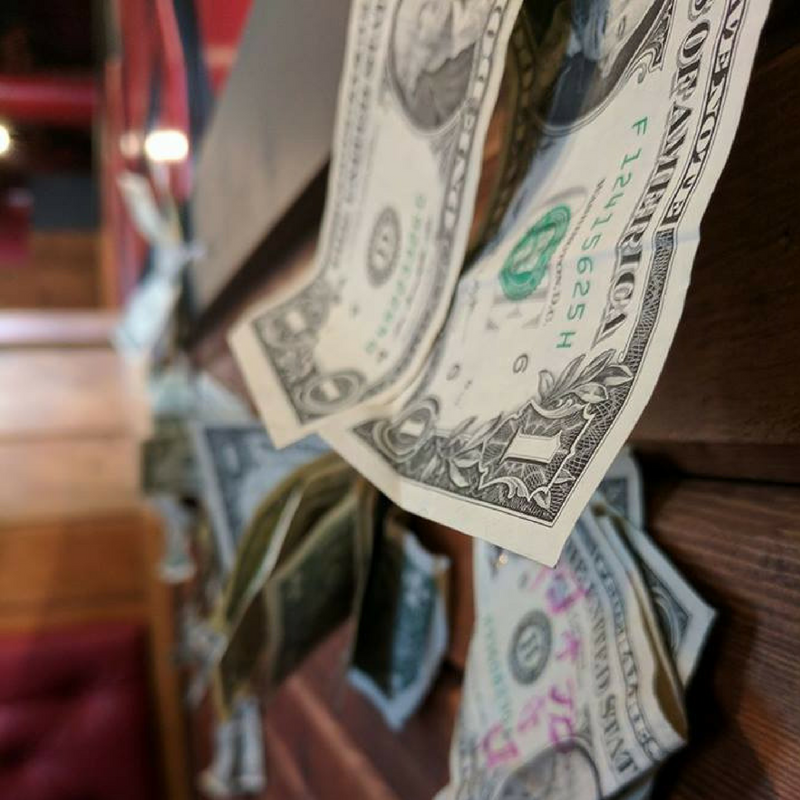 Long time and well loved customers, the Ellis', wrote their name on a dollar bill and stuck it to the wall. Pretty soon, the trend caught on and next thing we knew, we had walls filled with dollar bills. Names, special dates, and personal facts decorated these dollar bills. 9/11 was an extremely heartbreaking event, but it also provided an opportunity to give back. 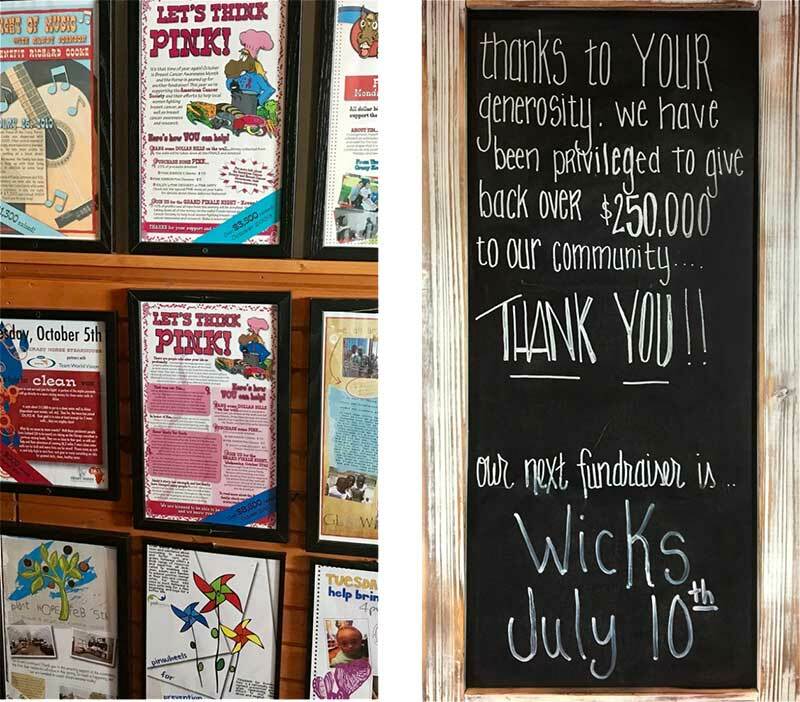 Since then, we have been involved with many wonderful people and organizations and feel blessed to be a part of their story. Without you, none of the these things would be possible. We tip our hat to you, and are forever humbled and grateful for your continued involvement and support since 1997! 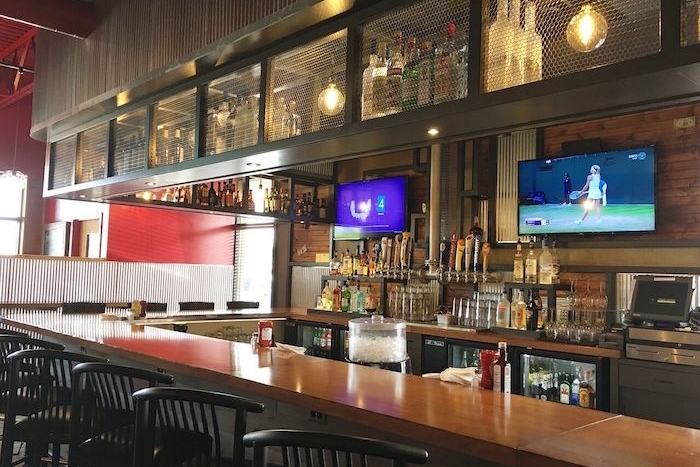 Swing by, enjoy a delicious dinner, and pin a dollar bill or two. We'd love to stay in touch and make sure you're notified of special features and events!